Building your baby’s first library can be such a fun experience. I love diving into a good baby book with my boys. I’ve compiled this list of the best baby books to help you find the right choices for your little one! Reading to your baby is such a special experience. I always feel so connected to my kids when we read. To me, sitting in an armchair or laying on the bed and reading a few books with my kids is an expression of love. And I feel like supermom afterwards because I know that it was time well spent — time invested in bonding with my kids, teaching new things, and developing their minds. Turns out, this is backed by science. From even the earliest stages of infancy, reading is one of the most powerful ways you can influence your baby’s speech and cognitive development. But reading to your baby also plays a large role in strengthening your relationship. Through reading, we teach our babies about the world around them. Reading is such a magical part of childhood, so I believe it’s never too early to build your baby’s library and start reading to them. In a sea of children’s books, I’ve put together this list of the best baby books for your baby’s starter library – according to my boys. Below are our 25 favorite children’s books for your baby’s first year. We hope you find some unexpected titles you and your baby will love! Even the youngest of babies can benefit from seeing the pictures in books and following the patterns and rhythms of your voice as you read. I like to make a habit of reading to my kids as soon as they’re a few weeks old. Once we have established some routines and gotten into a groove, I like to introduce reading into our bedtime routine (the 4 Bs: books, bath, breastmilk or bottle, bed). I try to stick to this daily and truly make reading a priority in our home (though I admit that it is harder with two kids than it was with one). I subscribe to the idea that if you aren’t reading, you aren’t learning. And this goes double for my kids! Though your baby may not comprehend what you are saying, they will be taking in everything they hear and see when you read together. And before you know it, your baby will be reciting their favorite books along with you. Reading with your baby will look a little different as they grow from stage to stage. Newborns (0-3 Months): When your baby is in the newborn stage from months 0-3, they will be growing rapidly and adjusting to their new environment outside of the womb. Reading gives them an opportunity to help develop their eyesight, so board books with high-contrast colors such as red, black, and white will be visually stimulating and appropriate for this age. Sit on an armchair with your baby during waketimes and read 1-2 books per day. Let your baby have a chance to look at the pictures. 4-6 Months: During this stage, your baby will be more alert and attuned to the world around them. They’ll be more interactive than in the newborn stage, and will have become familiar with your daily activities and routines. (This is one of my favorite stages!) Reading begins to take on a more important role in your baby’s day and they’ll love seeing vivid colors and bright pictures. At this stage, you could introduce short board books with 1-2 sentences per page. Your little one will be captivated by what they see and will be exploring the world around them by touching things and putting them in their mouth – including books. Let them play with durable board books, Indestructibles, and sensory books that have different textures they can play with. 7-9 Months: During this stage, your baby will be more mobile and will show more interest in reading with you. This is a great time to begin introducing picture books that teach animals, colors, and more. Babies also love to look at faces, so this is the perfect age to read picture books with pictures of babies. At this age, your baby may not be able to sit still for very long so try to read to them in short increments throughout the day. 10-12 Months: As your baby gets closer to their first birthday, they will become more engaged with what you are reading. They might be a wiggle worm who loves to move around but you can still get in plenty of reading together because their attention span is growing. This is the age I like to bring some teaching books like an alphabet book or some longer stories with more words. Still, I like to read above my baby’s reading level so I would read any of the books below to my baby from about 3 months on. Here is my list of the 25 best baby books for your baby’s first year. It was difficult to limit this list to only 25 titles because there are so many great books from some of our favorite authors like Caroline Jayne Church and Sandra Boynton. 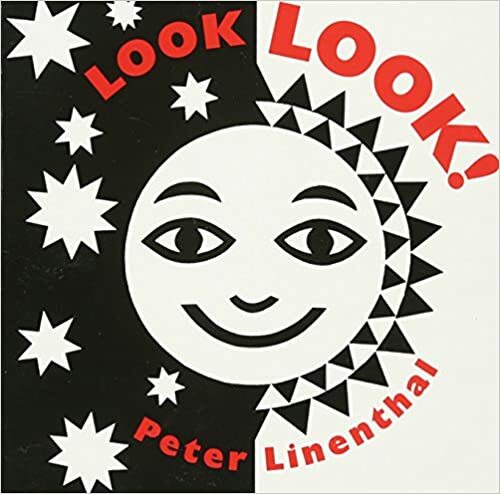 1) Look Look by Peter Linenthal. This is a short board book that is perfect for helping your newborn develop their eyesight. My littlest gets very excited when he sees this book. It’s also a very quick read, which is perfect for babies 0-3 months of age. 2) Indestructibles: Baby Faces by Kate Merritt. Indestructibles Books have to be the coolest books for babies. These baby-proof books can’t be ripped (seriously!) and can withstand even the largest puddles of drool. If they get dirty, they can be thrown in the wash! 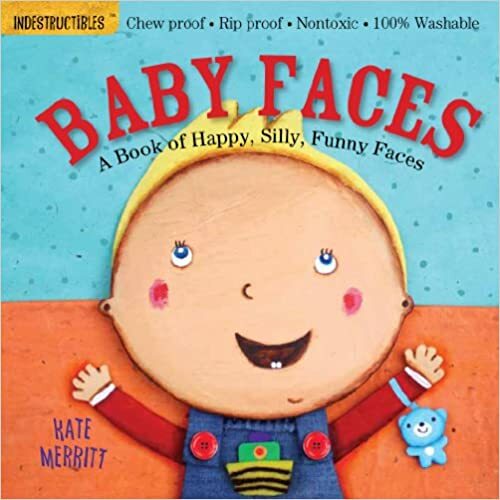 While there are plenty of Indestructibles to choose from, I like the Baby Faces book because babies love looking at faces and in theory, this helps build empathy (though it might be a bit early for that). These books are short and sweet and perfect for babies 6 months of age or less, though my toddler still likes to look at them every now and then. 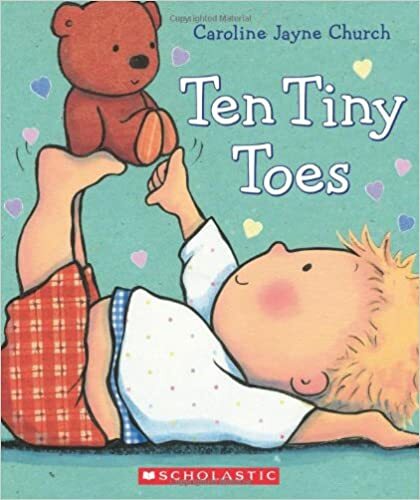 3) Ten Tiny Toes by Caroline Jayne Church. Written by one of our favorite authors, Ten Tiny Toes is a sweet ode to your baby that teaches baby’s body parts. As always, Church’s illustrations are adorable and the rhyming text is short, sweet, and perfectly written. 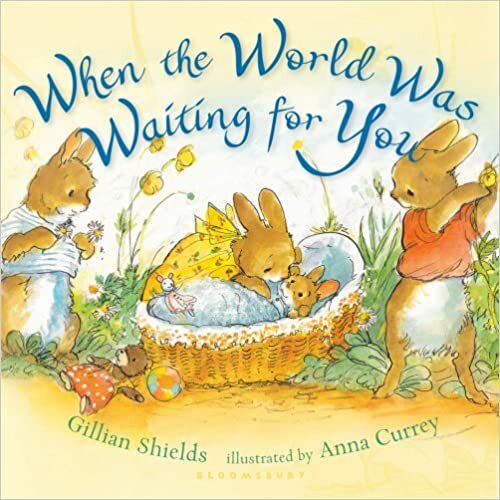 4) When the World Was Waiting For You by Gillian Shields. Any list of the best baby books would be incomplete without When the World Was Waiting For You. This is the first baby book that I bought for my oldest, and we both still love reading it three years later. This sweet, loving story tells your baby about what it was like before they were born: the excitement in the air and the eager anticipation of their arrival. This is one of my go-to baby shower gifts and a must for every baby’s library. 5) Baby Touch & Feel: Animals. Baby Touch & Feel books are great for sensory learning and exploration. With different textures for your baby to explore through touch, they help your baby develop their fine motor skills. 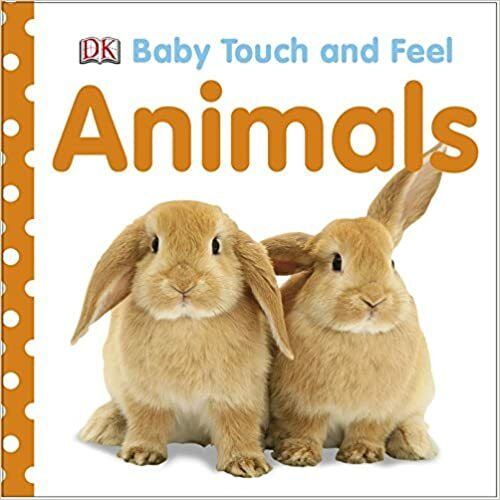 I love the Baby Touch & Feel: Animals book in particular because it also teaches the names of animals and the sounds they make. 6) First 100 Words by Roger Priddy. 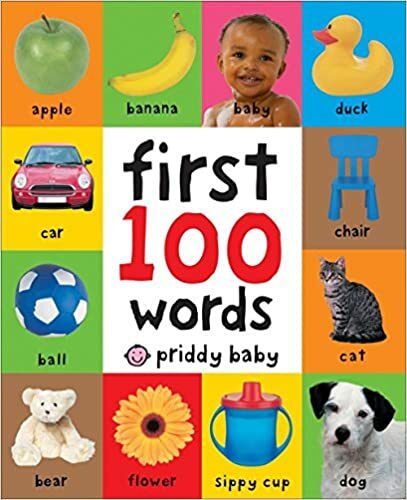 A picture book that teaches your baby to identify different foods, animals, toys, and items found around the house, First 100 Words is pretty much an essential book for babies. The images are brightly colored and the book itself is small enough to be tucked into your diaper bag. 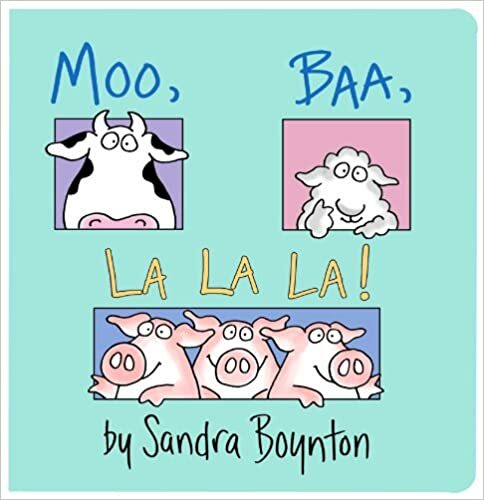 7) Moo, Baa, La La La by Sandra Boynton. File this one under SILLY! Moo, Baa, La La La is a board book for babies that has fun with different animal sounds. This is one book where you can really make reading to your baby fun and silly. 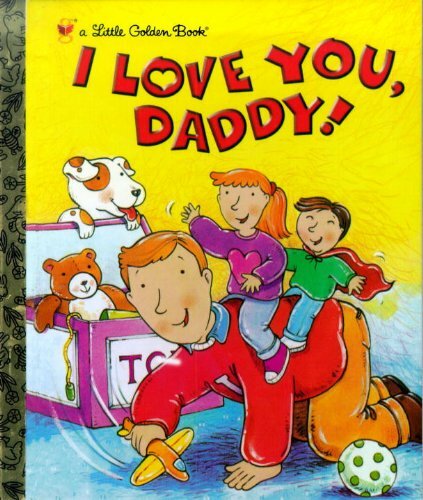 8) I Love You, Daddy and I Love You, Mommy by Edie Evans. 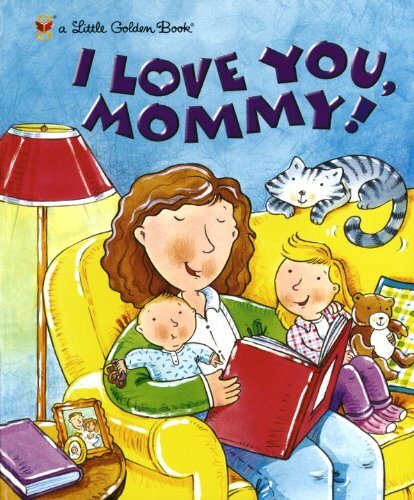 Two simple rhyming books about how much a child loves their parents, the I Love You Books are sweet and well-written. Told from the child’s perspective, they tell their parents what they like about the different activities they do together. You’ll be able to read these books with your baby well into toddlerhood. 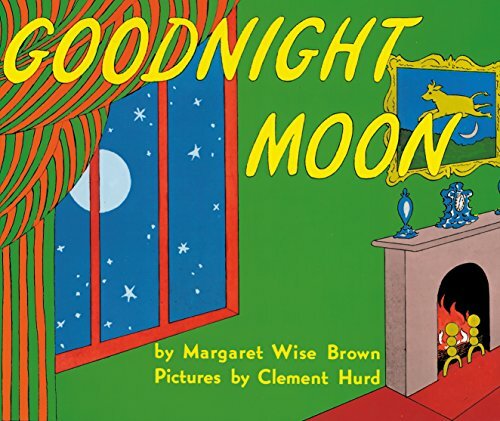 9) Goodnight Moon by Margaret Wise Brown. A classic that makes any list of the best baby books, Goodnight Moon is a perfect read for the end of the day. As he is getting ready to sleep, a little bunny says goodnight to everything around him. The pacing is perfect and there’s just something sweet and special about this book. A must for every starter library! 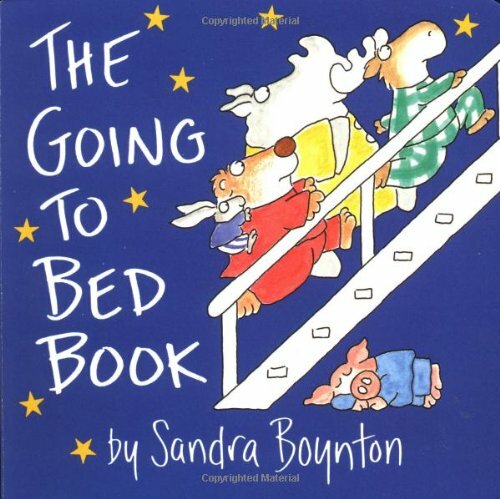 10) The Going to Bed Book by Sandra Boynton. One of many Boynton books to make this list, The Going to Bed Book is one of our favorites. It’s another great read for the end of the day that mixes in a little silliness with some soothing, calming text. We love this book! 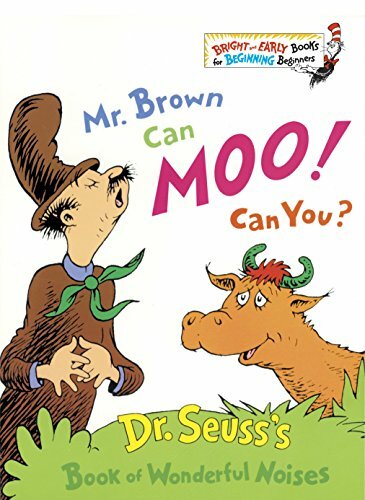 11) Mr. Brown Can Moo! Can You? by Dr. Seuss. I love silly children’s books so it’s probably no surprise to see a Dr. Seuss book on this list. Mr. Brown can make all sorts of fun sounds; he can buzz like a bee and moo like a cow. All of these silly sounds make for one fun read! Don’t leave this one off your list. 12) I Will Love You Forever by Caroline Jayne Church. 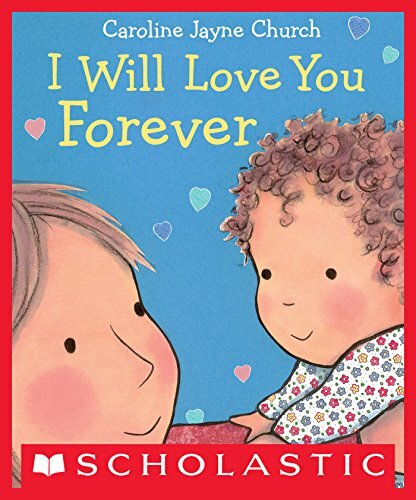 This sweet book expresses a parent’s unconditional love to your baby – from the very first moment you met them, and as they continue to grow. I have to admit I usually fight back tears when I read this to my oldest. 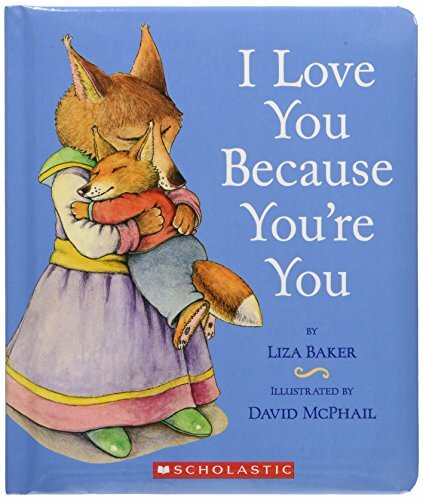 This is a wonderful book that builds your baby’s confidence by letting them know you love them always, unconditionally. 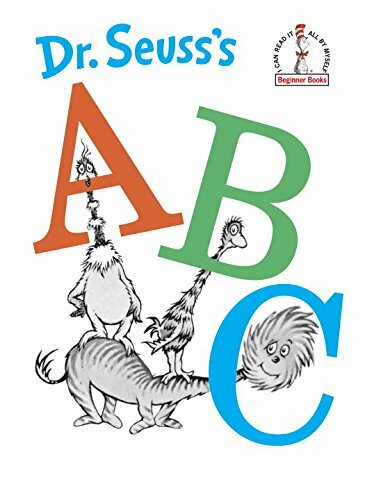 13) Dr. Seuss’s ABC by Dr. Seuss. This is a silly ABC book that makes little sense – but kids love it! And, I think it teaches the alphabet very effectively to babies at a very young age. If you buy this, be sure to buy the hardcover and *not* the board book because the board book has been shortened. 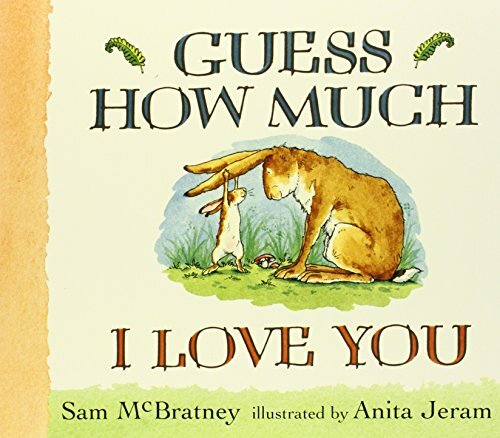 14) Guess How Much I Love You by Sam McBratney. This is one of our favorites! It tells the story of a little nutbrown hare who is trying to tell the big nutbrown hare just how much he loves him. He goes above and beyond to express his love. It’s so sweet and very well-written. A must have in every baby’s starter library. 15) Good Night, I Love You by Caroline Jayne Church. 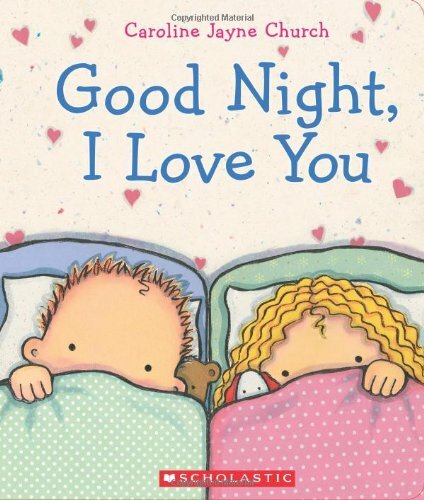 Good Night, I Love You is a sweet story about getting ready for bed. From taking a bath and brushing their teeth, the little boy and girl in this story go through the bedtime routine, as told through short and sweet rhymes. It’s short enough that you could read it to a younger baby but is also appropriate for your baby well into toddlerhood. 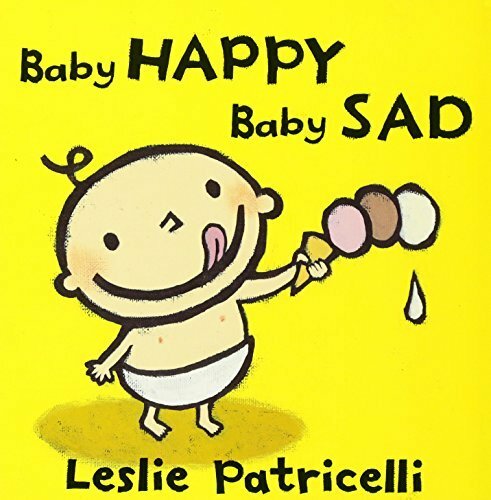 16) Baby Happy, Baby Sad by Leslie Patricelli. Baby Happy, Baby Sad is quite possibly one of the most underrated children’s books! Through a series of pictures, the book shows the main character (a cute, nameless baby who only wears a diaper most of the time) in different scenarios where he is either happy or sad. For example, he is happy when he is holding an ice cream cone and sad when he drops it. What I love about this book is that it is a great tool for teaching empathy. I love to explain what is happening in the photos and then ask my toddler which one he thinks the baby is sad or happy in and why. 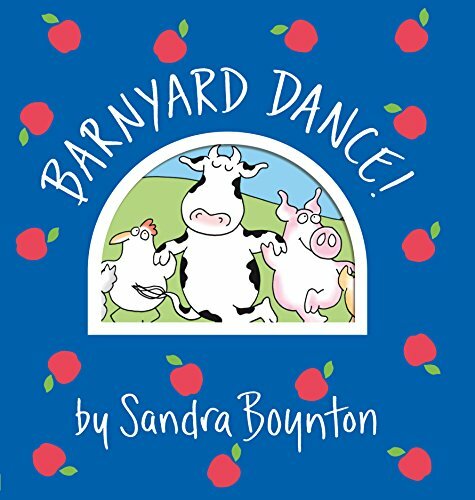 17) Barnyard Dance! by Sandra Boynton. This book is so much fun to read! It’s a square dance song for barnyard animals, wish such lines as “Bow to the horse. Bow to the cow. Twirl with the pig if you know how.” This is a great, high-energy read that is sure to engage your baby and create lasting memories for you both. 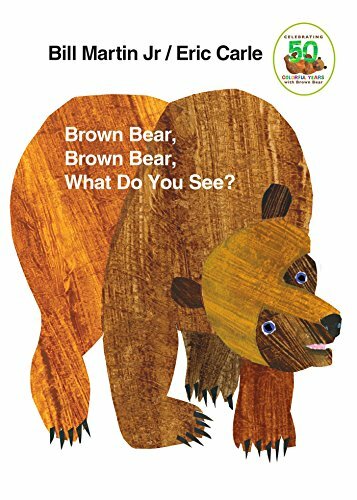 18) Brown Bear, Brown Bear, What Do You See? by Bill Martin, Jr. and Eric Carle. On each page, we meet a new animal that describes what they see: “I see a yellow duck looking at me”. The words follow a repetitive pattern, making it a fun and educational read for your baby. I like this book for older babies, 10-12 months of age and older. I also used this to practice baby sign language with my oldest and it was very helpful. 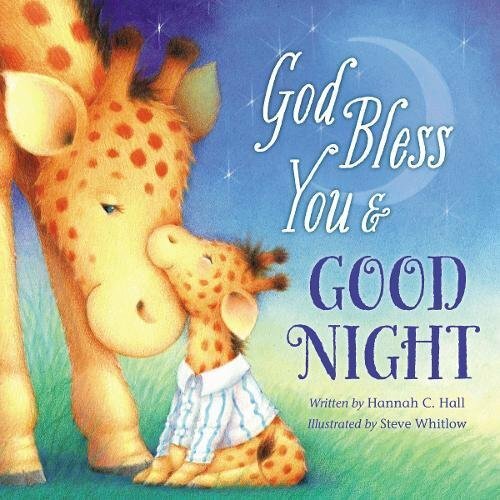 19) God Bless You and Good Night by Hannah C. Hall. This is a sweet book that takes your baby through the bedtime routine and ends with a simple prayer: God bless you and good night. On each page, the book’s beautiful illustrations show a baby animal and their family as they are getting ready for bed. (Have you noticed a theme with all of the bedtime books on this list? Books about bedtime – or anything else your baby has to do – are really helpful!) This is another book I like to give as a gift. 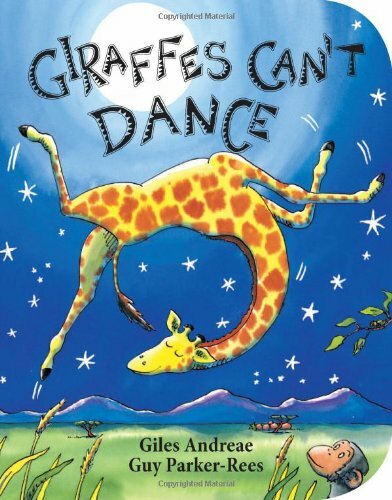 20) Giraffes Can’t Dance by Giles Andreae. All Gerald the Giraffe wants to do is dance in the jungle dance, but the other animals sneer at him because he isn’t a good dancer. Giraffes Can’t Dance is a beautiful, rhyming tale of a giraffe that finds the music inside himself and learns to dance. At the end, all the animals that laughed at him want to know how he learned to dance so beautifully. It’s well-written and beautifully illustrated and is a great read for your baby as they get a little closer to turning one, and will stay a part of your baby’s library for many years. 21) Where Is Baby’s Belly Button? by Karen Katz. 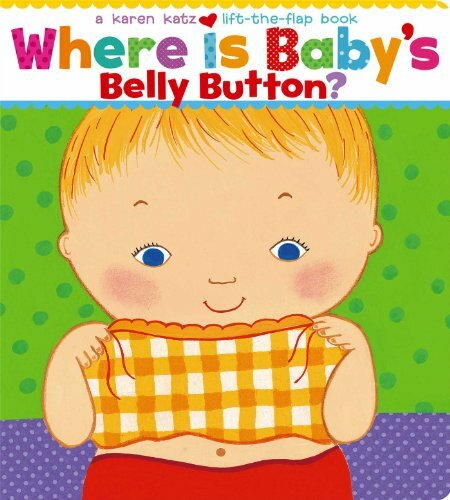 A simple rhyming book with flaps for your baby to lift, Where Is Baby’s Belly Button? is an interactive book that is perfect for the youngest of readers. 22) I Love You Because You’re You by Liza Baker. This is a book that should be in every home! It expresses unconditional love to your child by explaining that you will love them no matter what: when they are happy, when they are snuggly, when they yell, when they cry, when they are sick, and when they are silly. This is such an important concept to communicate to children and I find that this book does it perfectly. 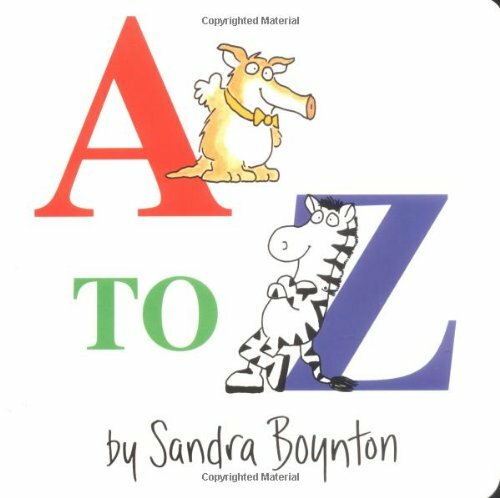 23) A to Z by Sandra Boynton. I love teaching the alphabet through books, and A to Z is a short, fun, and simple book that gets the job done. I like reading this to my kids when they are even just a few months old. It’s so fun that it doesn’t really feel like you’re “teaching”. 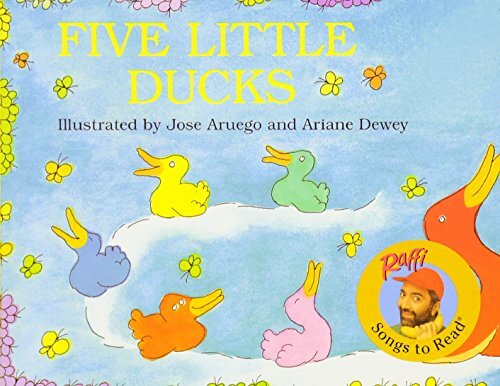 24) Five Little Ducks by Raffi. This is a sing-along book for the “Five Little Ducks” song. (“Five little ducks went out one day, over the hills and far away…”). I love singing along to the pretty illustrations and it’s a fun book to read with your little one. We also love Raffi’s songs. It was hard to choose just 25, but that does it for my list of the 25 best baby books for your baby’s first library. I hope you found many great books for your baby. 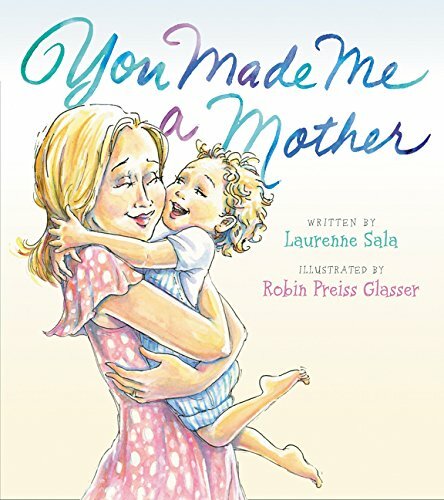 (If you’d like to look at books beyond baby’s first year, I would encourage you to buy the full collection of Laura Numeroff “If You Give” books. They are fun and silly and very toddler-friendly. What are some of your favorite baby books? Let me know in the comments! I hope you found some new gems to add to your baby’s library. And I wish you lots of baby snuggles and reading time together. Thanks a lot for this list! Look,Look is great for tummy time! And I was able to find Guess how much I love you in French and English and Leo loves it. Awesome! So glad it’s helpful ??? ?